Our company I worked with just switched to amazon connect and we have nothing but issues. we cant hear, customers cant hear us, calls keep dropping, we cant log in, the volume is cutting in and out. We have to keep switch tab to tab just get back to our phone, our transfers dont work. NOTHING IS WORKING. garbage. As a bit of a nontraditional contender in the space, Amazon made pretty big news in the Contact Center market by introducing their new unique solution, known as Amazon Connect. Introduced at Enterprise Connect 2017, Amazon touted Connect as an incredibly simple to use solution, with a basic pay-as-you-go pricing structure. 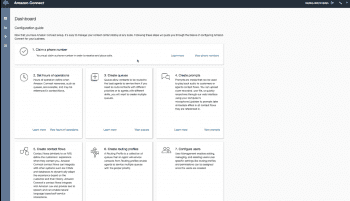 Simply building off the already incredibly successful AWS platform, Amazon Connect brings together a host of existing technologies and services that Amazon had it its tool box – including AI from he popular Amazon Lex, and telephony functions through AWS. Already used in-house by Amazon’s own customer service agents, Connect is simple yet remains powerful enough for even the giant that Amazon is. 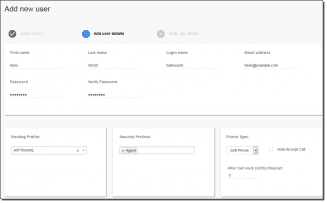 With a large catalogue of available open API’s, Connect can integrate into almost any popular CRM solution for a seamless experience. If your business is already utilizing AWS for any reason, whether that’s web hosting or cloud storage or even Chime’s UC, then adding in Connect to your business should be super simple. As part of the AWS Free Usage Tier, Amazon allows free users to try Connect without any subscription or upfront fees. Limited to only 90 minutes of service usage, a DID number and a toll-free number, with 30 minutes of inbound calls respectively, this free usage tier is a great way to go hand-on and give Connect a shot before committing. For a more detailed breakdown of the pricing, visit Amazon Connect’s pricing page here. 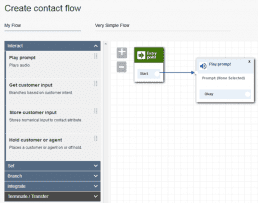 Amazon Connect came as a surprise to many – however the addition of a Call Center Solution into the AWS stack of services does make sense. Amazon already has the technology, tools and infrastructure necessary to create such a solution. Packaging Connect with a neat user interface and simple pay-as-you-go pricing, and Connect stands as a very attractive solution for both the SMB, and even larger the larger businesses already invested heavily into the AWS ecosystem. 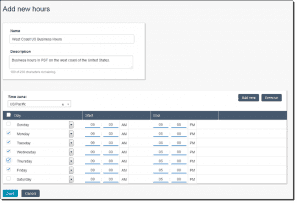 While not a full-fledge Contact Center Solution just yet, Connect offers the main features any team needs when handling inbound calls. With a large range of available Open API’s, a vast majority of existing software can already be integrated right into Connect, which is very happy to work closely with existing CRM solutions. This list will also continue to grow as adoption picks up, and developers expand their API offerings. When it comes to the pricing structure, Amazon offers a fresh take, and something we haven’t seen much of in this market before. With a pay-as-you-go model, Amazon Connect makes a compelling case for smaller sized teams that do not require a massive investment, and don’t want to pay for services they aren’t even fully using. Now on the other hand, this could prove slightly confusing for a larger team, unsure of how to budget for their services – but when coupled with AWS storage and database functions, this becomes a small con compared to the larger benefits. Businesses can also purchase numbers and telephony service through Amazon if necessary, to keep everything under one roof. Overall, Amazon Connect offers slightly more than the basics as a powerful Call Center Solution, and will continue to grow and expand overtime. Amazon is already working on deeply integrating Amazon Lex, the company’s Artificial Intelligence capable of Automated Speech Recognition and Natural Language Understanding. With the Amazon name behind the solution, security, privacy, reliability and support should all be industry leading, if not comparable. In fact, Connect is the solution already used in-house by Amazon, now available to other businesses. What Do You Think of Amazon Connect?